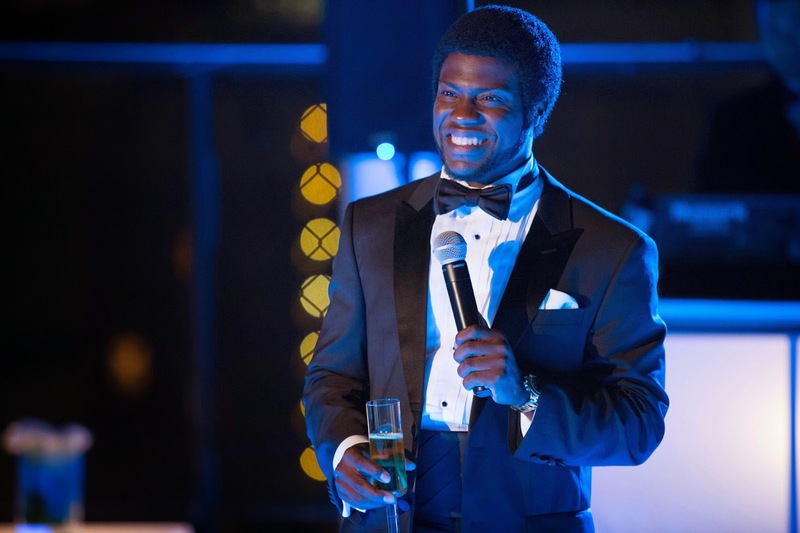 So Wedding Ringer, I truthfully had no idea this movie existed until it popped up on Nuffnang's Blog when they announced that they were giving out invites to it. And even when I got it I didn't really check it out. Didn't even watch the trailer. I had only what was written on Nuffnang's blog and the fact that I recognized Kevin Hart on the poster for it to go by, other than that I knew zilch which means I could only guess at if it was going to be funny or not. From what I read it felt like it was going to an Adam Sandler like fare or something that you'd see Owen Wilson in. And well, I wasn't too far off. 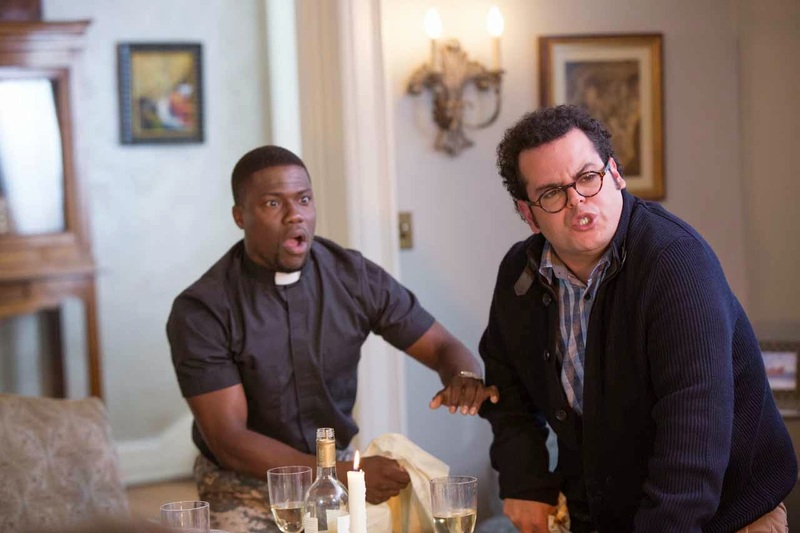 So what's Wedding Ringer about? Well, if you were too lazy to read the synopsis up there let me tell you right here, it's about a guy who is about to get married in a couple of weeks and finds out that he has no good friends that he can call on to become his best man at his wedding. So what does he end up doing? Hiring some guy whose career is playing the best man at your wedding for a price. That's the short version. Here's the longer version. Also this is where I have all sorts of SPOILERS!!!! So moving along, Doug played by Josh Gad is a successful young man, he's not particularly attractive but he does have his own law firm. He's spent his entire life moving from country to country and town to town and when his parents died he took over the family business. All that moving and work caused him to sort of have difficulties in the making friends portion of a normal life. So when he went on a calling spree looking for a best man to stand next to him at his wedding most couldn't recall who he was or mistook him for someone else or dead. So no best man for Doug. So what does he do? Make some up of course when the fiance asks. The wedding date gets closer and at one of the meetings with the wedding planner while being asked about the whereabouts of his best man he panics and passes out. Fortunately for him when he comes to the Wedding Planner Edmundo, has a solution for him. So the next day off he goes to a small theme park called Annie's Fun World or something like that looking for The Basement. The Basement is in the basement area of the theme park and this is where Jimmy Callahan played by Kevin Hart is. Actually this won't be the first time you see Jimmy, the movie actually opens with Jimmy working one of his jobs. So no mysteries there about what Jimmy does. Anyway, Doug tells Jimmy his problem which Jimmy is willing to help out until Doug tells him he doesn't need just one or two best man at his wedding but seven. Jimmy balks at the request and tells him it's never been done and is nearly impossible to pull off even if he had more than two weeks. What Doug is asking for is apparently called a Golden Tux. Now for something to have a name it should have been tried before and for it to be mentioned in the manner that Jimmy does it should be pretty infamous in the industry but then how could what Jimmy does be considered an industry? Are there hundreds of people that do what he does? Oh well, no point letting logic get in the way. Anyway, Doug begs and pleads and submits to all of Jimmy's demands in order to take on the job and of course Jimmy takes it on. There wouldn't be a movie if he didn't. So the mission begins but not before Jimmy has to go to a funeral to speak on behalf of his "best friend". But that only happens after Doug tells Jimmy that he told his soon to be wife that his best friend's name is Bic Mitchum and that he's a chaplain in the army. Jimmy doesn't fall in love with the name immediately and hates the idea that he's also a priest. Later that evening Jimmy interviews Doug in order to prepare his role as Doug's best man as well as fill in the gaps to his own make believe character as Doug's best friend. Why so soon? Well, they have to visit Doug's fiance's family the next day that's why. So the next day rolls in and they head to the soon to be bride's home to meet her family. Doug is of course panicky but Jimmy gives him some tips in case things get hairy, and boy does it get hairy real fast. Doug gets asked question after question till his mind freezes and he babbles something lewd which makes Jimmy drop a hot bowl of Chilean Chilli on Doug's lap to distract everyone which causes Doug to jump up and pull on the table cloth toppling a candle over towards Grandma which sets her on fire. Good times. Next up is Jimmy's task of coming up with six more guys to act convincingly as Doug's other best friends. Guess how he finds them. Half are from the people that just happen to work at the theme park, one guy he used to hire on his jobs and three others are walk-ins who have to do a screen test. Not too sure why he needs to do a screen test. Anyway, none of these guys are what you would call average or normal. They fall more towards the loser and weirdo end of the spectrum. For example, one is a recently released convict, one's an asian guy with an extra nut and the most normal looking one among them actually has a speech impediment in addition to being a dumb blond. Of course when Doug is introduced to them he is less than impressed. Good times ahead for sure. Well they each get a dossier of information about who they're supposed to be and then off they go to make fake memories as well as fake photos of their past with Doug. A few days later Jimmy crashes a wedding with Doug in tow in order to get him to relax at his own wedding. 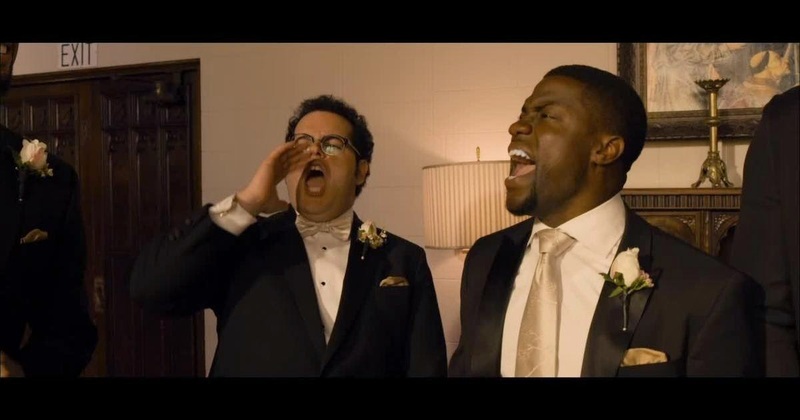 So they watch as the best man at this wedding loses it while making his toast and later in the evening Jimmy finds out that Doug is a dancing maniac. Predictable? Well, the way it was played out it was. A day later Jimmy gets kidnapped on his way to work only to find himself at his own bachelor party thrown by Jimmy and his six best friends. Things are going well until Jimmy decides to blindfold Doug, have a cute blond who apparently can't speak a word of English smother peanut butter on Doug's face and gentleman's vege and with blindfold still on have a dog lick the peanut butter off. While enjoying the licking Jimmy pulls off the blindfold to reveal to Doug that it wasn't a girl as he thought but a dog which doesn't really stop him from enjoying it but that doesn't last very long when the dog decides to stop licking and take a bite instead. Doug panics of course and so does everyone else and in the panic the ex-convict decides to fire off a gun shot which shocks the dog to death as well as lock the dogs jaws on Doug's nuts. So off they go all drunk, drugged and stoned in a van to the nearest hospital. Stuff happens. So wedding day comes around and they're at the chapel or church I don't know what the difference is and all seems well until they're told that the original priest wouldn't be presiding over the wedding but a Father McNulty. Coincidentally Father McNulty is someone from Jimmy's past and that would blow wide open their whole plan. So Doug has an idea. Kidnap and hide the priest and have Jimmy preside over the wedding. The plan goes off without a hitch. Good times. So it's evening and they're at the reception dinner where you find Jimmy and Doug in the restroom finishing up and having a little moment before they walk back out. Jimmy leaves first only to spot Doug's new bride heading to the restroom herself, he stops to congratulate her and instead of a thank you she blurts out all sorts of problems that's happened as well as the fact that she's only marrying Doug because he's the safe option for her. Doug of course is within earshot. Doug walks out and of course his expression says it all. Now it's at the reception and the best man is giving his toast except this time things don't go so smoothly, Jimmy chokes. Doug stops him and goes up and tells the everyone there the truth about everything. This of course is devastating news to the bride and just before she can explode in shame and rage, Doug, Jimmy and all their buddies make their escape. The end. Well not really, Doug takes Jimmy and his new friends to Tahiti which was supposed to be his honeymoon trip. Also somewhere in between all that Doug and his mates play football with his soon-to-be father in-law and his friends which first has them being beaten by the old men and then later with them beating the old men. And other stuff also happens. Did the Wedding Ringer ring all the right bells? Well, to be honest it was a fun little movie. There's nothing new about it, maybe they've changed a few things here and there but there's really nothing original about it. 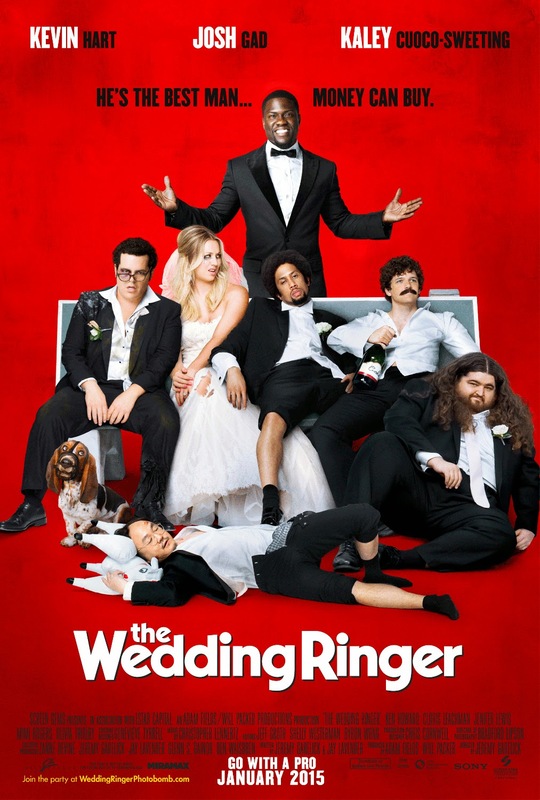 If you've seen most if not all of Adam Sandler's and the stuff that his company has produced then you'll find The Wedding Ringer to be familiar ground. That being said it isn't as bad as some of what Adam Sandler has done. 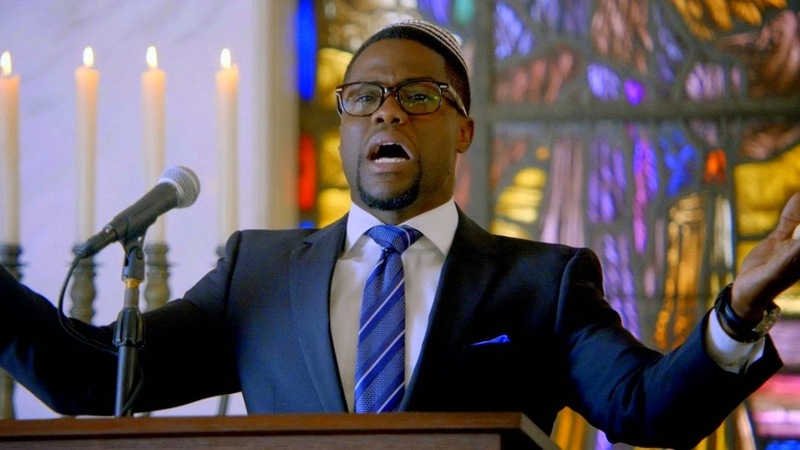 The thing that really makes this movie or should I say the person that makes this movie entertaining is actually Kevin Hart. If someone else were to be cast in that role I'd think this movie would not be as much fun. Without him I think this movie would be a very different and may a lot less entertaining one. This is the sort of comedy you go and watch after a long day of using your brain. You don't watch this movie thinking at every plot and twist that no way is this possible in the real world. Just stop thinking and have fun. Go with the flow. Over think this movie and you won't enjoy it. Just sit back and have a little laugh with Mr Hart. Do that and you'll probably have a fun time. Go take your girlfriend or boyfriend out to watch this, take your significant other out for dinner and a movie with this one and leave the kids at home. And when you sit down to watch this turn off the mature, sensible, rational adult voice in your head and let the teenage one out to play and then you'll have fun. 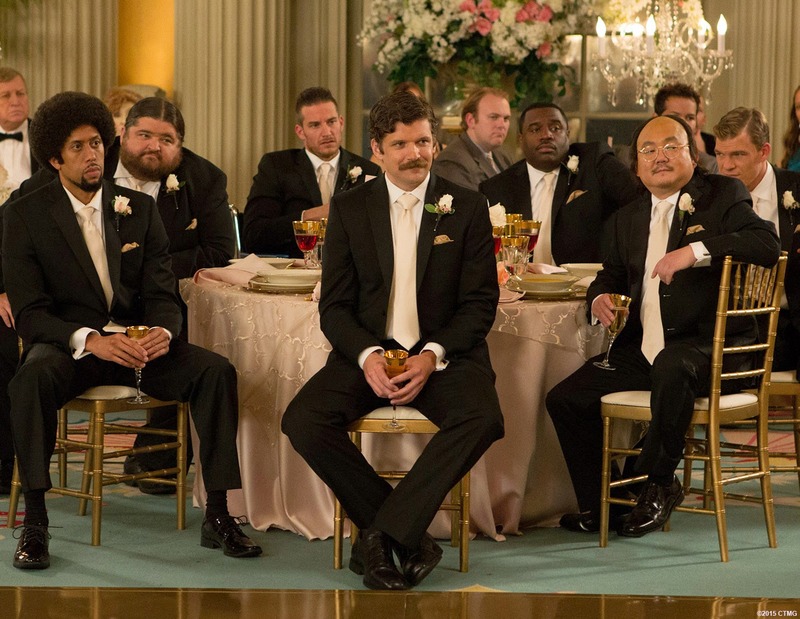 Wedding Ringer earns a good 3.3 out of 5 from me. I had fun. BIG THANK YOUS GO TO NUFFNANG, CHURP CHURP AND SONY PICTURES MALAYSIA FOR THE PREMIERE SCREENING PASSES!! AND THANK YOU TOOS GO TO TGV CINEMAS @ ONE UTAMA FOR HOSTING US! !